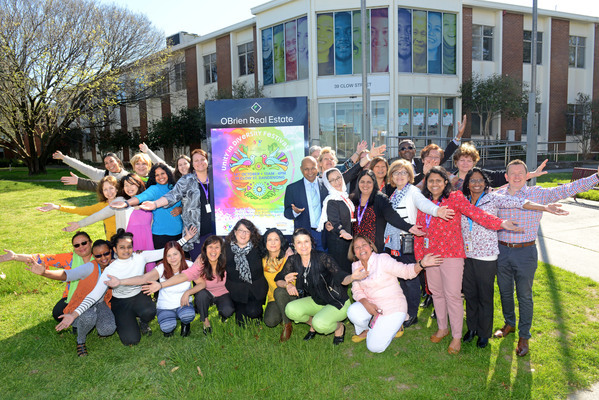 On Sunday 14 October, Southern Migrant and Refugee Centre (SMRC) will be celebrating Unity in Diversity in Dandenong to mark its significant presence in the region. It will be a day that will bring together the diverse cultures that make up the communities around Dandenong in a family-centric, carnival style landscape. The festival will be held at 39 Clow Street. Patrons will be treated to an assortment of cultural performances throughout the day on the main stage. They will also have the opportunity to meet and speak to a vast array of community groups and business stalls. And to top it all off, they can enjoy a delicious selection of food from around the globe! Guests will also be able to visit the Youth Arts and Writing Prize Exhibition and have the chance to be a part of the launch of the new Dandy Makers Market (that will run every second Sunday of the month) on the south terrace of Dandenong Market. “Unity and Diversity festival will have a direct and indirect impact on the local community. Apart from providing opportunities for participation, skills development, volunteering and social interaction, the impact will go well beyond what can be measured in economic terms,” CEO of SMRC Ramesh Kumar said. Kids will also be spoilt for choice with fee and for free entertainment that includes amusement rides, mini-golf, jumping castles and even a kids art zone and a mega building block space to inspire their creativity. “The Unity in Diversity Festival is our gift to a community that has opened its arms to diversity and flourished by the opportunity,” said Mr Kumar. There will be plenty to surprise and delight visitors including buskers, face painters, henna artisans, drumming circles and a chance to get up close and personal with a baby animal at the petting zoo. The Unity in Diversity Festival will run from 10am until 40pm on the grounds of the SMRC HQ at 39 Clow St.
Inconvenience caused due to the closure of Sturt Street at Clow Street during this time with traffic diverted to Sleeth Avenue is regretted.